Hold the phone — two of our favorite celebrity couples have recently hung out and we need to talk about it. No, we need to celebrate it, because it's really that exciting. So, which couples reportedly just hung out in Lake Como, Italy? The location is a dead giveaway that we're talking about George and Amal Clooney. But the couple the Clooneys got to host? The Duke and Duchess of Sussex, Prince Harry and Meghan Markle. According to ABC News royals correspondent Omid Scobie, "Amal and Meghan spent much of their days lounging by the pool together and, of course, playing with the twins." Scobie added, "George and Harry have a shared passion for motorcycles and checked out George's collection, and they also played basketball together." With Harry and Meghan spending the weekend with the Clooneys, there was plenty of time to do more than look at some motorcycles. People magazine also reported that George and Harry enjoyed some time together playing on the Clooneys' private basketball court (if there are pictures of that, we'd like to see them for… research) and that Amal and Meghan hung by the pool with the Clooneys' twins, Ella and Alexander, at one point. 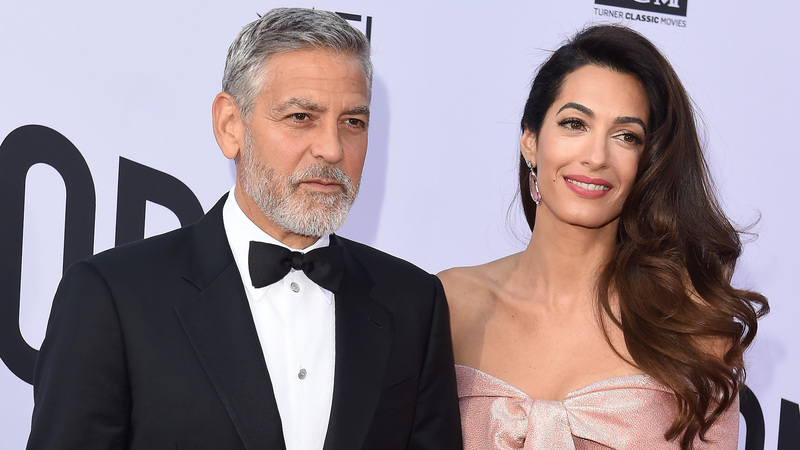 Also, the Clooneys reportedly held a private dinner party for Harry and Meghan on Saturday evening. Neither couple has commented on the visit in any public forum, nor are any pictures publicly available right now. That said, between the Clooneys showing some love by attending the royal wedding in May and Harry and Meghan returning the love by coming to Italy to hang out, we're liking the idea of this A-list foursome hanging out more. We look forward to seeing where they vacation next!